A few weeks back, I read a list of books for book lovers. Basically, a selection of works which revolve around the written word and its importance. 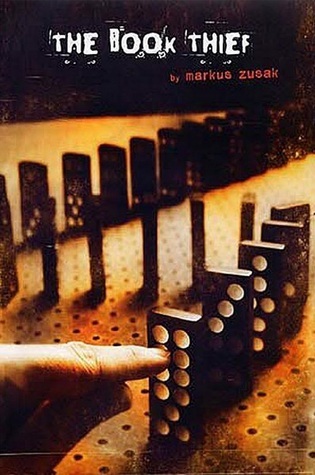 Thus, my introduction to The Book Thief. I had no real idea what the book was about; I simply knew that it was included on this list of books that people who love books should read. Seeing as I am definitely a person who loves books, I gave it a shot. The first few chapters sent me into puzzle mode, as I attempted to discern from whose point of view the book was written. It does not take long to realize that your narrator is Death. Not Death in the Grim Reaper fashion you may think, but Death, who carries the souls away in his arms. 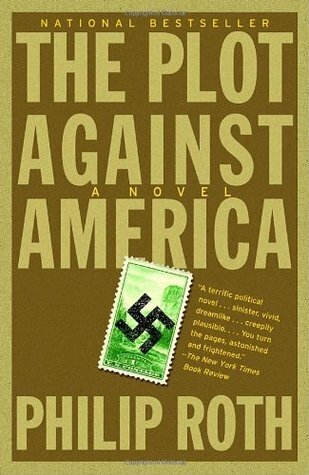 This offers an extremely unique perspective for story telling, particularly as it becomes apparent Zusak has set his book in WWII-era Germany. We're married! It seems so crazy, but true. We had a wonderful wedding last weekend and, despite the attempts of Hurricane Sandy and a 24-hour stomach virus, we really enjoyed Jamaica. In fact, and here comes my shameless plug, we have started a new blog to document our life together. If you have any interest in my life outside of what I read, you may want to check out Napp Time. There is not much there yet, but I promise there will be soon. Back to books. I am assuming that if you are here, that is what you are actually interested in. Jamaica delivered in full on one count - time to read! I finished two and a half books while we were down there. It was wonderful to lay by the pool or on the beach next to my husband and indulge in one of my favorite activities. I even got Kevin in on the fun! 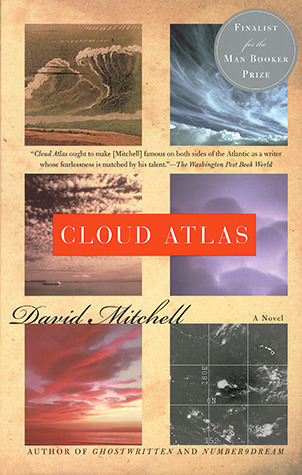 Cloud Atlas appeared first on my priority list. In fact, on both the flight to Charlotte (our connecting point) and the flight to Montego Bay, I did not even pull out my electronics. Instead, Cloud Atlas, and the entertaining people sitting around us, held my full attention. Mitchell's work captivates. His writing style exhibits skill and premeditation. He clearly has selected each word with forethought. As much as I read, which you know better than anyone, I found myself having to slow down and process each sentence. I do not know that I can classify this as a "difficult read" but it certainly was not an "easy" one. Mitchell gives so much detail, but in such a subtle way. He demands the reader's attention, but then keeps it adeptly. Any worry I might have had over falling behind in my personal challenge this year is quickly evaporating. Months of planning have proven themselves worthwhile and now, three days before our wedding, I am finding myself with time to relax and enjoy the week (This is also due in part to my extremely helpful husband-to-be). Festivities start tomorrow, but tonight I have a quiet evening and took advantage of it to finish Anne of Avonlea. What a refuge this book has been the past few weeks. L.M. Montgomery's beautiful prose and the beautiful simplicity of her plot would lift any spirit, but especially that of a bride-to-be who is worn out from trying to balance all the aspects of her life. 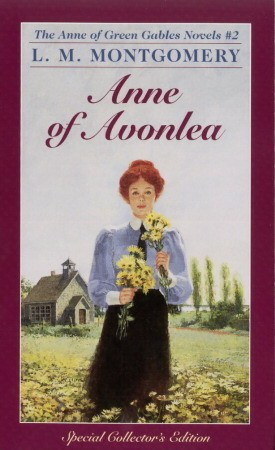 Just as Anne of Green Gables did for me last month, Avonlea has proven itself a welcome refuge from the business of life. As Kevin and I approach our wedding day (this Saturday! ), we have spent a lot of time investing in our future marriage. This is one of several books that we read (or are reading) together. This particular one, written by two married couples - Robert & Bobbie Wulgemuth and Mark & Susan DeVries - was recommended by our pastor and his wife as part of our premarital counseling. Really, it is two books in one. As you have probably already deduced, one half speaks specifically to the groom, while the other half is meant for the bride-to-be. I certainly did not think I would be posting again this soon. What a lucky day for anyone out there actually reading this blog. Finishing books somehow always takes me by surprise, as if I was not aware the end was only a few pages away. Kevin and I traveled a lot over the past month and wanted to pick up something to pass the hours in the car. If you remember, our last audio book adventure taught us about the world of legal drama. Kevin tends to need something very action-packed to keep his attention, so when I saw this Dan Brown work on the shelf at our library, I knew it would be a good bet. 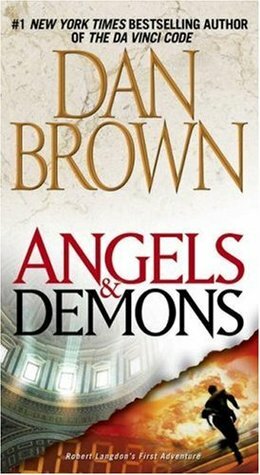 I have read Angels & Demons multiple times; I believe this was my third or fourth time experiencing Robert Langdon's first adventure. Other than complaints about the length (we spent 18 hours with this book! ), Kevin liked it and I have convinced him to let me read him other Dan Brown works post-wedding. For anyone thinking they are unfamiliar with Dan Brown's work, I promise you are not. This is the author who gave the world the controversial The Da Vinci Code. In that novel he tackles the theory that Jesus was married to Mary Magdalene. His most recent work (2009) titled The Last Symbol, he explores Freemasonry in America. Angels & Demons, published in 2000, centers around the relationship between religion, science, and conspiracy as Vatican City is threatening by an antimatter bomb stolen from CERN by the ancient secret society, the Illuminati. Brown maintains a fast pace throughout the entire book. No one loves a plot twist more than Brown and he proves it time and again, even turning the story completely on its head in the very last pages of the book. You should not expect a lot of blog posts between here and the end of the month. In fact, it is very possible that this will be my only post for the month. I am getting married on October 20 and, frankly, am a little busy. However, I already have a list of books that will be joining me on the beach in Jamaica and I am practically giddy over the idea of having time to read again. To not just read as a quick thirty minute break from life, but to spend whole hours at a time curled up with a book. While I am dreadfully behind in my goal for the year, I have no doubt that I will conquer it. On to the matter at hand: The Plot Against America. I love the idea of this book. Philip Roth has written what could be described as a fictional memoir. He writes in first person as though he is recalling his childhood spent during the WWII years in Newark, NJ. The twist, though, is that Roth's history is far from accurate. He presents an imagined scenario in which fascist aviator Charles Lindbergh wins the presidency and keep America from entering the war. As a history buff, the concept interested me enough to pick up the book. Unfortunately, as engaging as the idea was, the execution was not.